Here is a list of reports, publications, videos and open letters on TTIP and climate, from various organisations on both sides of the Atlantic. Briefing explains why TTIP, and especially regulatory cooperation, could put a stranglehold on our ability to create the energy transition required to tackle climate change. Important FoEE report on the fioul quality directive. This briefing demonstrates how corporate lobby groups are using trade threats, and particularly the EU-US trade talks as a vehicle to attack, weaken and delay important environmental regulation still in the making. The Fuel Quality Directive has already being delayed and potentially weakened threatening EU climate policies and an influx of tar sands to Europe. Exists in FR and ES. 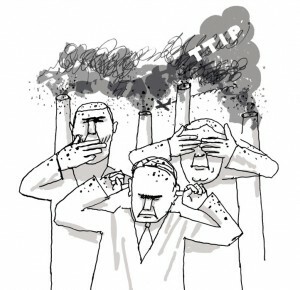 Introduction to the issue of energy in TTIP. “There’s been a lot of talk recently about the risks of the transatlantic trade and investment partnership (TTIP) project for Europe and its regulations. But the consequences on the other side of the Atlantic could be just as dramatic, particularly in the boost it could give to further large-scale shale oil and gas developments”. Interview with Ilana Solomon, director of the Sierra Club’s “responsible trade” programme. Letter from three dozen U.S. environmental organizations opposing an energy chapter or any provisions that lead to automatic exports of oil and gas in TTIP. This blog-post is written by FCRN (food climate research network) advisory board member Vicki Hird. Only the third part of the article deals with climate, with an agriculture focus. Any multilateral climate agreement could be undone when government leaders attempt to implement changes back home. Thanks to the thousands of trade agreements that have been negotiated in recent decades, corporations could mount costly and crippling legal challenges to any environmental legislation that gets in the way of profit. This report formulates an innovative trade deal exemption clause. In “An ISDS carve-out to support action on climate change”, Osgoode law professor and international trade law expert Gus Van Harten suggests a safeguard that allows countries to pursue environmental and climate change policy free from the chilling effects of billion-dollar lawsuits resulting from investor-state dispute settlement provisions in trade agreements. US focused but very useful report on ISDS and the fossil fuel industry. Contains case studies, useful numbers and a list of 100 of the largest fossil fuel corporations that the TPP and TTIP would newly empower to challenge U.S. climate protections in private ISDS tribunals. Short briefing introducing ISDS to a climate activist audience, with a focus on the Keystone XL pipeline case. In less than two minutes, this video explains the dangers a massive trade deal called the Trans-Pacific Partnership would have on our ability to tackle the climate crisis. Also totally valid for TTIP. The Free trade regime and climate change : looking at relocalizatin efforts, energy in TTIP and the experience of NAFTA. Letter to Congress re Fast Track signed by 40 rural-based organizations pointing out how trade undermines local/rural responses to climate change. Letter signed by environmental organizations including Friends of the Earth, NRDC, LCV, and Sierra Club calling on members to reject the anti-climate language in the customs-bill (linked to fast track). Report by the United Nation Conference on Trade and Developpement. It is based on the heavily criticized idea that responding to the climate change imperative of reducing global warming should be done without undermining economic growth and social development for current and future generations. Still a good overview with interesting numbers. Perspective of the renewable energy industry. “Trade partnership between the EU and US could remove barriers facing the green energy sector, but experts warn of potential dangers”.